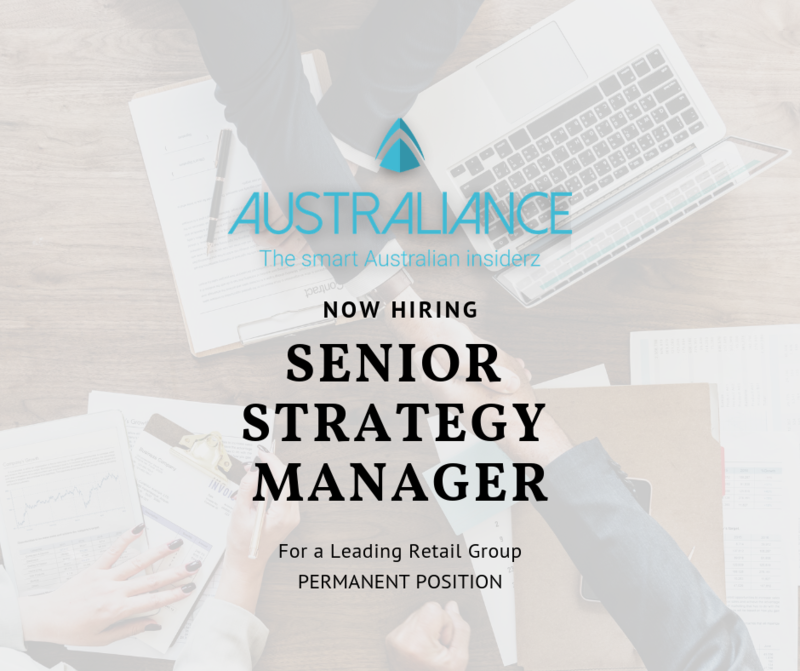 Australiance is looking for a Senior Strategy Manager for a leading Australian Retail Group. Do not hesitate to apply if you are interested in these opportunities! The corporate strategy team’s primary mandate is to develop high-quality strategic initiatives for their businesses, or across the portfolio. They focus on areas which are outside « day job » and require additional resources to help think bigger, faster, better. Fill in our application form with the reference “Senior Strategy Manager Retail 0718″.